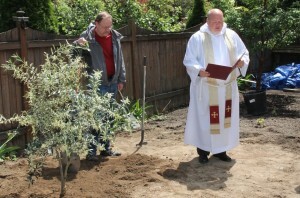 St. Mark’s Episcopal Cathedral in Seattle, Washington planted an olive tree in its Urban Garden on May 22nd in commemoration of the 100th anniversary of Daher’s Vineyard. Thanks for the idea in your last newsletter! 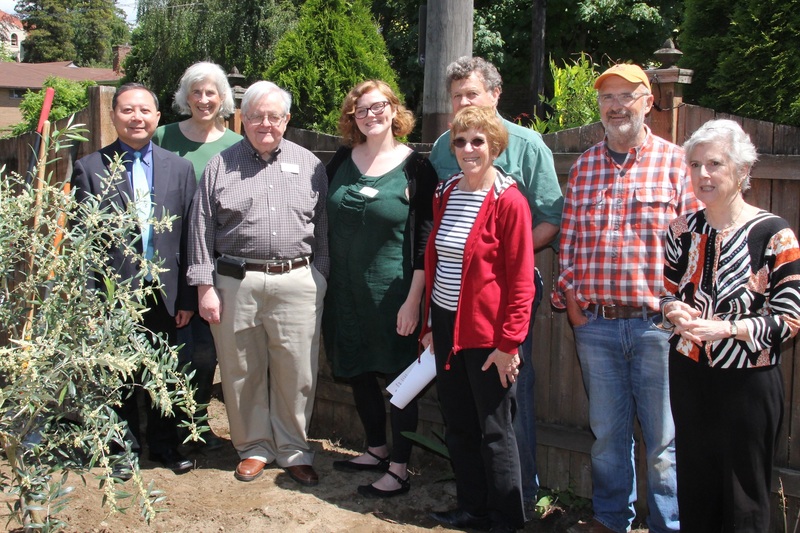 And yes, there are hearty species of olive trees that survive our Pacific Northwest climate. The garden provides fruits and vegetables for meals for the homeless women who sleep in the church’s shelter five nights a week. Pictured is the Very Reverend Steven L. Thomason, Dean and Rector, reading a prayer for the occasion. 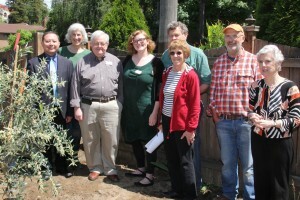 The second picture is of members of St. Mark’s Mideast Focus Ministry who planned the event.